Legacy Christian senior forward Erik Uszynski (32) puts up a first-half shot in a Jan. 31 boys high school basketball game against visiting Carlisle. Uszynski led all scorers with 17 points in the Knights win. Senior Brandon Martin (33) scored a career-high 16 points in the Legacy Christian win over Carlisle, Jan. 31 in Xenia. Sophomore guard Roman Newsome stole the ball, scored on this play,drew a foul, and hit the subsequent free throw in the first half of Thursday’s boys high school basketball game against visiting Carlisle. Host Legacy Christian won the game, 70-46. Jonathan Riddle drives toward the basket as Carlisle defender Dane Flatter tries to poke the ball away from behind, in Thursday’s Jan. 31 boys high school basketball game won by host Legacy Christian. The Legacy Christian Academy varsity cheerleaders try to will a Knights free throw through the hoop, in the first half of Thursday’s game against Carlisle, in Xenia. XENIA — Host Legacy Christian lost a top player early on in Thursday’s Jan. 31 boys high school basketball game against Carlisle, and the Knights didn’t appear to skip a beat. 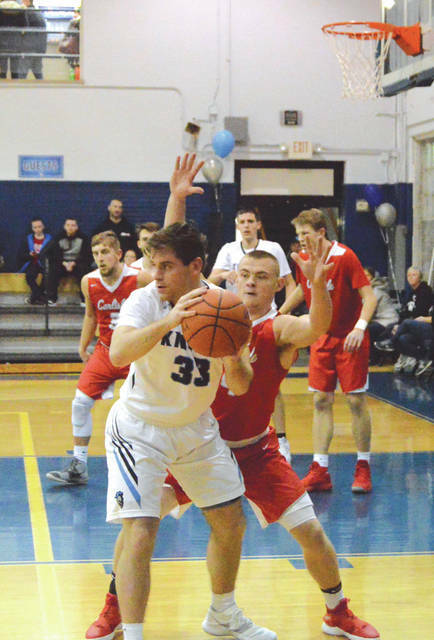 Erik Uszynski scored a game-best 17 points and Brandon Martin had a career-high 16 as the Knights defeated Carlisle, 70-46, Jan. 31 in the Legacy Christian Academy gym. Martin may have saw more playing time than normal. 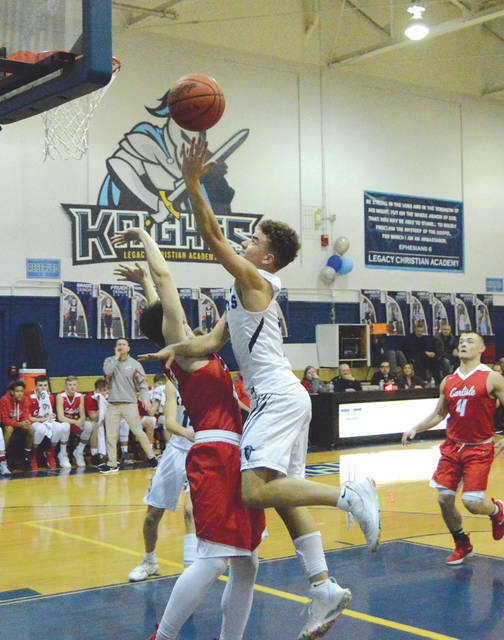 That’s because the Knights’ Keano Hammerstrom fell hard after going up high for a rebound and appeared to have a head injury, 21 seconds into the second quarter of Thursday night’s nonleague contest. After a nearly seven-minute stoppage of play that involved athletic trainers tending to Hammerstrom while the coaches and officials bickered over who had the authority to rule the woozy Knight ineligible for the remainder of the contest, LCA outscored Carlisle 13-7 in the quarter to grab a solid 31-19 halftime lead. The visiting Indians didn’t get any closer. 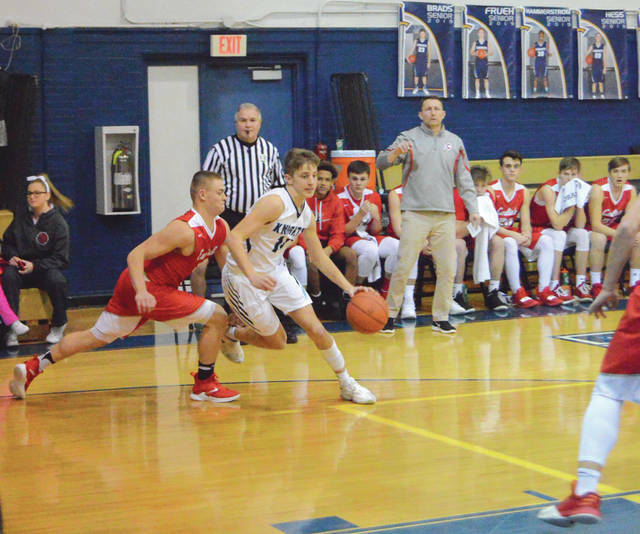 According to LCA assistant coach Perry Williams, who was filling in for head coach Brad Newsome for Thursday’s game, Hammerstrom will undergo the regular concussion protocol treatment before being cleared to play in Friday night’s Feb. 1 contest in Springfield against Emmanuel Christian. Martin’s previous best scoring night had been a nine-point effort in a Dec. 20, 2018 road win at Middletown Christian. Carlisle (4-13) was led by a 14-point effort by Nolan Burney and nine points from Austin Redavide. The game with Carlisle was a makeup game due to bad weather two weeks ago. 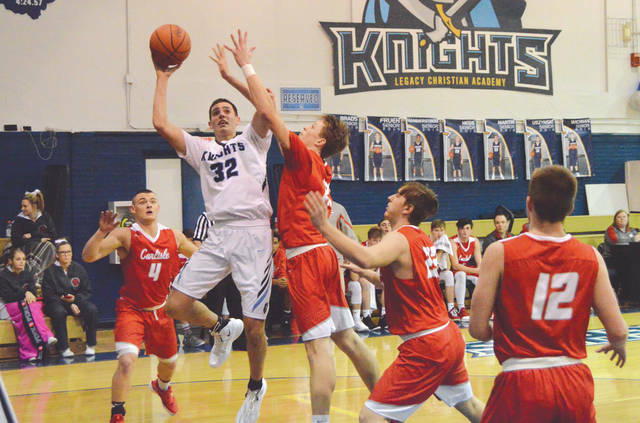 It puts LCA in an odd position of playing back-to-back games on a Thursday and Friday, and also adds a bit of pressure for the Knights to play well in their Friday conference road game against league contender Emmanuel Christian Academy. Williams says the LCA-ECA game is a big one in terms of the Knights’ Metro Buckeye Conference title hopes. “A win up there has the potential to really put a conference championship in our sights. We have a few more (wins) to get, but that will really help us,” Williams said. The Knights lead the Metro Buckeye Conference with a 15-2 overall record, and they are 10-0 in the conference. They lead second-place Troy Christian by 2 1/2 games, and Emmanuel Christian by three games. LCA would knock ECA out of title contention with a win, with three conference games in the regular season remaining for both schools.